Hugh Bowman will partner champion Winx in a race day jump-out at Randwick. Champion Winx will make a special appearance at Randwick in a jump-out against three of her Chris Waller-trained stablemates. The mare will be joined by Group One winners D’Argento, The Autumn Sun and Foxplay in Saturday’s work-out over 1000 metres before the first race. Winx scored her 19th Group One victory in the race named in her honour last Saturday week and is scheduled to defend the Group One George Main Stakes on September 15 at Randwick. Before the jump-out, Godolphin’s Viridine will work solo over 800m followed by a 1000m-gallop by the Gai Waterhouse and Adrian Bott-trained pair Santos and Siege Of Quebec. 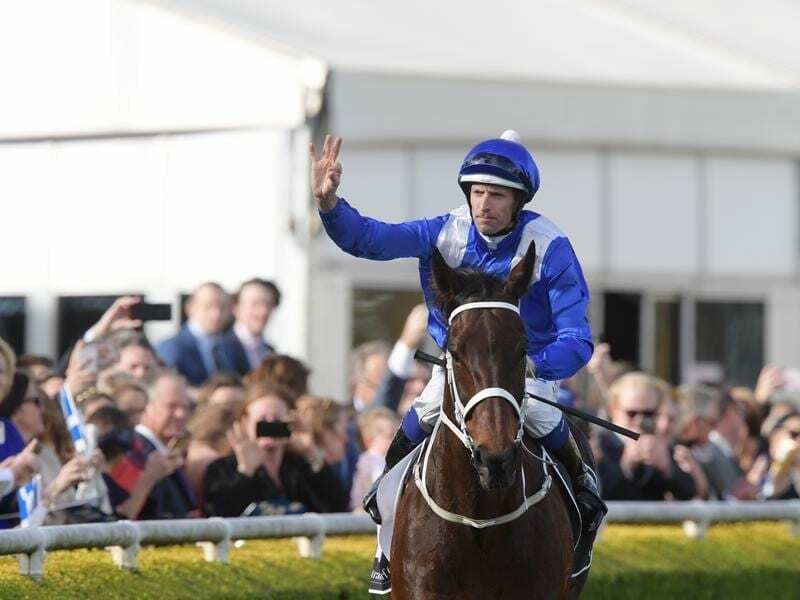 Winx’s regular jockey Hugh Bowman will be aboard, James McDonald rides Rosehill Guineas winner D’Argento, Kerrin McEvoy will be on J J Atkins winner The Autumn Sun and Jay Ford will partner Foxplay, winner of the 2017 Queen of the Turf.